The San Diego Police Department, a North County country club and a ruling on whether it's the city's responsibility to clean up La Jolla Cove were some of the most talked about stories in the local legal community for the first half of 2015. 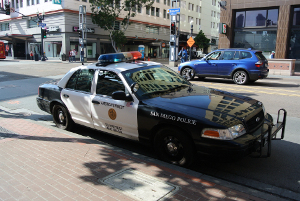 In March, the Justice Department released a review of the San Diego Police Department that found a lack of leadership and a failure to hold bad actors accountable contributed to a series of police misconduct incidents in recent years. The yearlong assessment of the Police Department’s efforts to prevent and detect misconduct, which was undertaken at the department’s request, focused on its handling of 17 misconduct cases in the past five years. Federal officials said the city is already making progress addressing many of the report's recommendations, a point echoed by Mayor Kevin Faulconer and Police Chief Shelley Zimmerman. San Diego attorneys have had some solid success in State Bar of California politics in 2015, and by the end of the year could have even more. Heather Rosing, a shareholder and CFO at Klinedinst PC, has drawn praise for her work as vice president of the state bar’s board of trustees. She also recently announced she is running for president of the organization, with the election set for July. Meanwhile, Todd Stevens, a shareholder and civil litigator at Keeney Waite & Stevens, found out in March that he beat out two attorneys from Irvine to win a seat on the board. 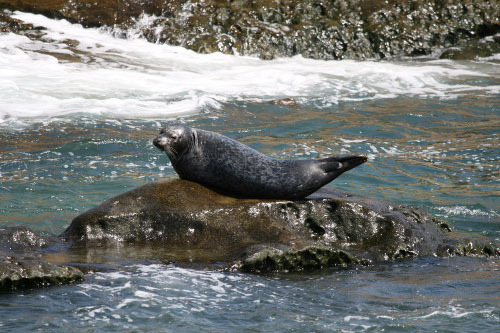 A San Diego superior court judge ruled this spring that the city does not have a duty to clean up the sea lion and bird droppings at La Jolla Cove. Judge Timothy Taylor made the ruling in a case brought by a group of residents and business owners who alleged the city had allowed the public nuisance of the “noxious odors” from the excrement to persist. Taylor wrote he did “not minimize the unpleasantness of the odors,” but the legal doctrine of nuisance does not provide a remedy. The battle over the future of the Escondido Country Club site shifted to the courts this year, following the November defeat of a ballot measure that would have allowed the owner of the property to build more than 400 homes on the property. In March, a Vista Superior Court judge issued a key ruling in favor of property owner Michael Schlesinger in his case against the city of Escondido and the City Council. Judge Earl Maas III invalidated the city-approved general plan amendment that declared the land to be open space, ruling that it unfairly discriminated against the 110-acre site. As of early June, the city had yet to comply with the ruling or agree to a proposed settlement. The California Supreme Court issued a ruling in May that local legal experts said will make it more difficult for employers who win employment lawsuits to recover their litigation costs. The court unanimously ruled that defendants who prevail in cases brought against them under the state’s Fair Employment and Housing Act can be awarded their court costs only if they show a complaint was frivolous, unreasonable or groundless. The case, known as Williams v. Chino Valley, came in a case brought against the Chino Valley Independent Fire District for employment discrimination in violation of FEHA by a former fire captain. Visit sddt.com/law to access the Attorney Directory, our weekly Law Briefs column and a calendar of events for the legal industry.